About Shoreditch, creative hub of London. Commercial property, office space, office space London, to let, offices to rent, studios to rent, Shoreditch. The Shoreditch Zoo. The station with overground bridge crosses Shoreditch High Street, next Boxpark. Mark Hix's Transhed restaurant serves roast Chicken and Beef, has a Damien Hirst raised above the dining floor. 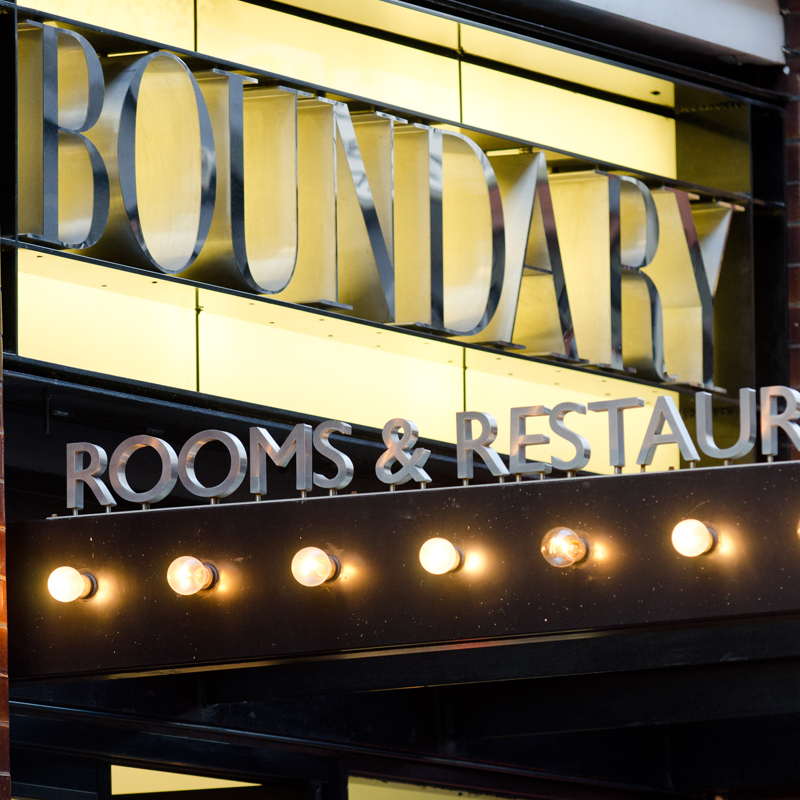 Situated at the west end of Rivington Street. A Brazilian influenced bar, restaurant and club at the corner of Paul Street and Great Eastern Street. Looking south east down the street from near the Old Street roundabout. 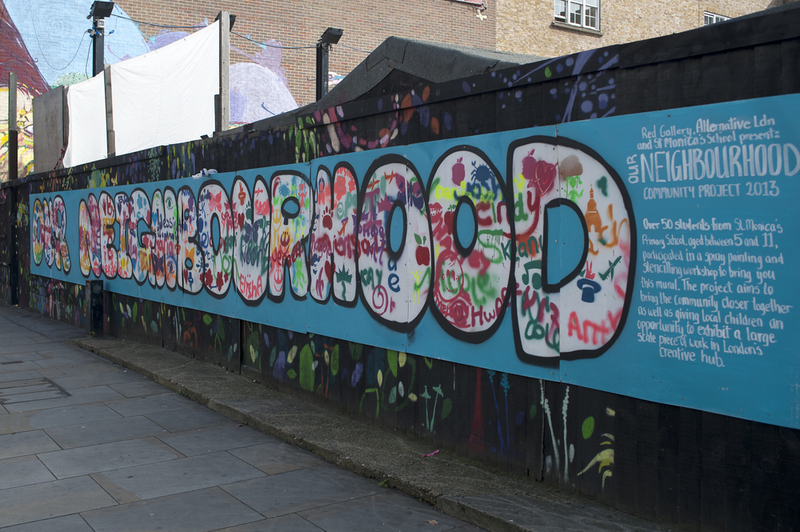 A mural on the back wall of the RED market, facing onto Old Street, painted by local school children. A newsagents which outdates most other shops in the area, stockist of many design, tech and fashion magazines as well as the regular corner shop fayre. On Rivington Street between Curtain Road and Charlotte Street. Part institution, part pub, the Bricklayers is now a regular boozer but used to be one of the few places for a pint in Shoreditch at the weekend. Designer street-wear, books and coffee can be found at this style emporium next-door to The Dragon bar at the corner of Shoreditch High Street and Rivington Street. At the Corner of Club Row and Redchurch Street. Artist Ben Eine has made Ebor Street his own the last few years, painting huge typographic murals on the opposing walls of the road which is home to Mother (ad agency) and Shoreditch House. Shoreditch is an incredibly vibrant area of London, home to many creative businesses; at the weekend it's a playground for Londoners, situated on the northern fringe of The City, with the West End just three miles away and the residential East End on it's flank. In the decades leading up to the 1990's Shoreditch and it's warehouses and light industrial buildings were overlooked. Since the mid-90's the area has come back to life with once neglected buildings adapted to accommodate creative people and their businesses. In the last few years Old Street roundabout has been rebranded the 'Silicon Roundabout' with digital firms including Google, Yammer, Tweetdeck and Last.fm setting up here. 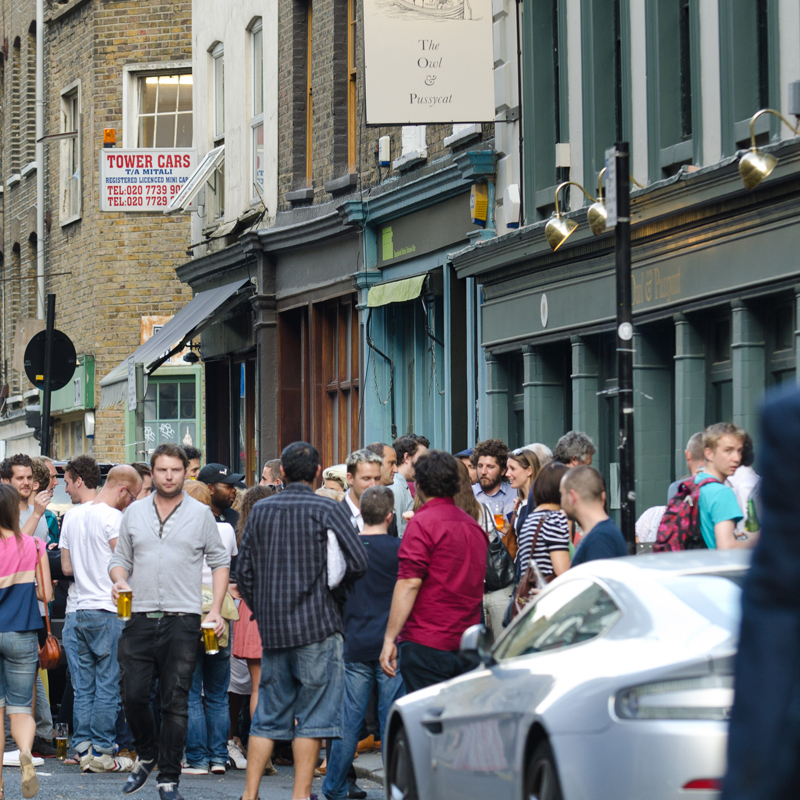 This influx has seen Shoreditch go from busy to booming. New plans to redevelop the roundabout include a new station, shops and state-of-the-art workspaces for digital firms. Head east and you're in The Shoreditch Triangle, the area framed by Old Street, Shoreditch High Street and Great Eastern Street. These and the roads and alleys in-between are packed with 19th century, London brick built warehouses now converted into studios, workspaces and loft style offices. In amongst all the creative firms, pubs and cafés in the triangle are several Shoreditch institutions; The Bricklayers Arms, the 333mother nightclub and furniture store SCP. Crossing Great Eastern Street and find Leonard Street with it's imposing 19th century warehouses, home to a mix of new media firms including magazine blog MagCulture and the Pure Evil Gallery. Dotted in between are yet more bars, pubs, shops and restaurants including the The Griffin and the Eyre Brothers. Head south towards The City and Moorgate, it's plain to see you're entering the more sober business and financial district which is south Shoreditch, home to our office on Scrutton Street and to our direct neighbours Moo.com. Vice magazine is just around the corner. As with elsewhere in Shoreditch, there's a variety of offices, studios and workspaces populated with a mix of creative and digital firms. Eastwards towards Brick Lane and Bethnal Green is Redchurch Street, home to ad agency Mother and Shoreditch House with it's roof-top pool. This was until recently simply a thoroughfare between Shoreditch and Brick Lane but now it’s thriving and on summer nights almost impassable for the crowds outside The Owl and Pussycat pub. Running parallel to Redchurch Street is Bethnal Green Road, home to the Boxpark pop-up mall and The Rich Mix arts centre. To the North of Old Street you move from EC2A from N1 but you're still most definitely in Shoreditch. This is where Hoxton Square is, formerly home to the legendary Blue Note nightclub and the White Cube gallery. The park, fiercely guarded by London's most fashionable dog-walking club, is muddy in winter but great for lounging in the summer. It's framed by a mix of workspaces, offices, bars and restaurants. As you move north away from the square up Hoxton Street the buildings become residential and there Shoreditch ends. Practically speaking, the area is well served by road, tube and rail connections to the rest of London. Shoreditch lies between Old Street underground station (beneath Silicon Roundabout), Liverpool Street underground and mainline train station and the new Shoreditch High Street Overground station. There are bus routes heading every which way but nowadays most locals cycle their fixies, available from Tokyo bike on Tabernacle Street. 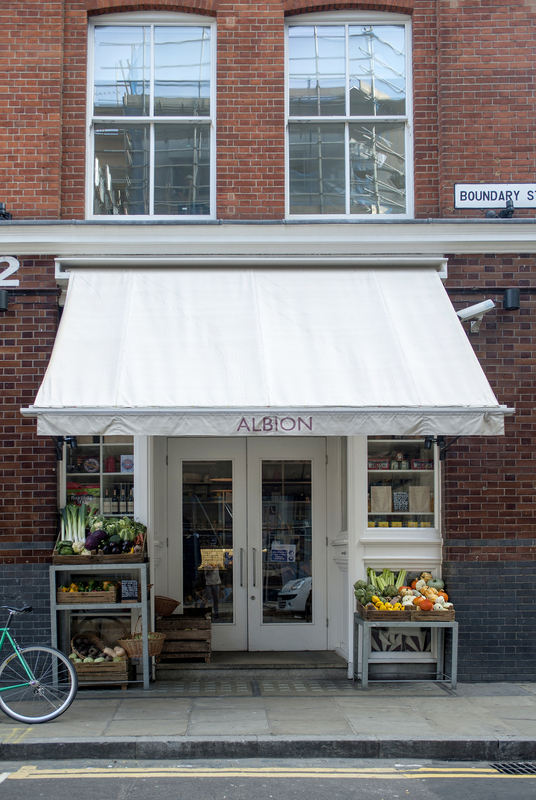 Considering housing your business in Shoreditch? A detail from a street art piece by Eine, on Ebor Street, home of Shoreditch House. Great Eastern Street, London EC2A. Ever popular pub on Redchurch Street, London EC2A. 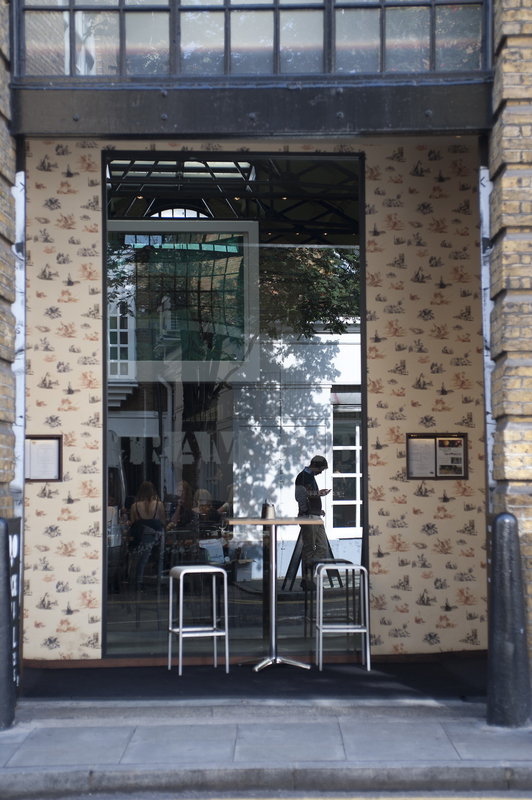 The Princess of Shoreditch, pub and award winning restaurant on Paul Street, London EC2A.